Let me introduce you to Bendy. This little chap stood 47 cm high and was the American GENERAL ELECTRIC RADIO’s advertising mascot, used to hold cards at point of sale and presumably frighten you into submission. He was made in the 1920s, a fully jointed doll wearing band leader’s uniform complete with tall hat, gold buttons and baton. 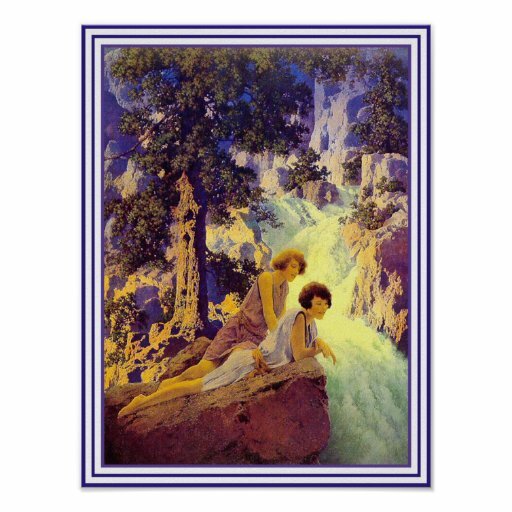 I was amazed to discover that he was designed by Maxfield Parrish, a famous American artist best remembered for paintings like waterfall. 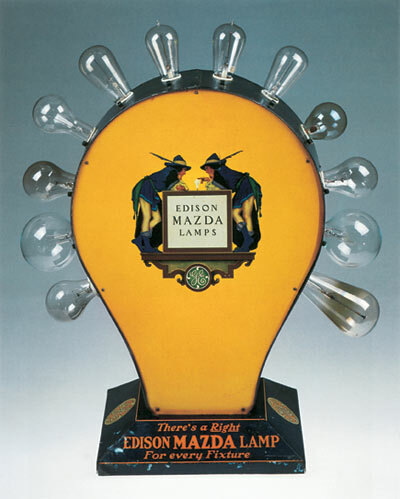 Although I find it hard to believe that they could be by the same artist, Parrish’s paintings were commissioned by General Electric for their Mazda Lamp Calendars from 1918 to1934. Parrish was a profilic artist and had an unusually commercial approach to his art. This character is even scarier and attributed to the same chap. He is said to have designed four different ones, so there are two more out there somewhere. They look like early Star Trek to me. There was also a lightbulb display designed by Maxfield Parrish for General Electric in 1925 and used in hardware stores for customers to test their bulbs before purchase. 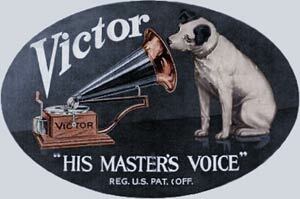 I prefer this little chap myself, but that’s another story …. In their original state, some radios are no longer working and the casings appear too damaged to restore. 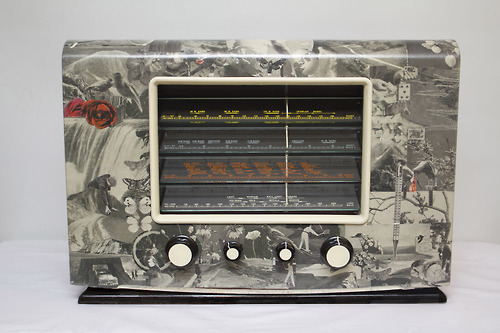 Amazingly these radios can be rescued from the scrapheap by artist Maddie Gosling, She carefully selects images taken from, equally sad looking, vintage books. After hours of patient work and several coats of varnish, the rebuilt cases have been transformed. Reunited with their repaired electronics they become fully functioning, one-of-a-kind, iPod docking stations with an impressive valve sound.